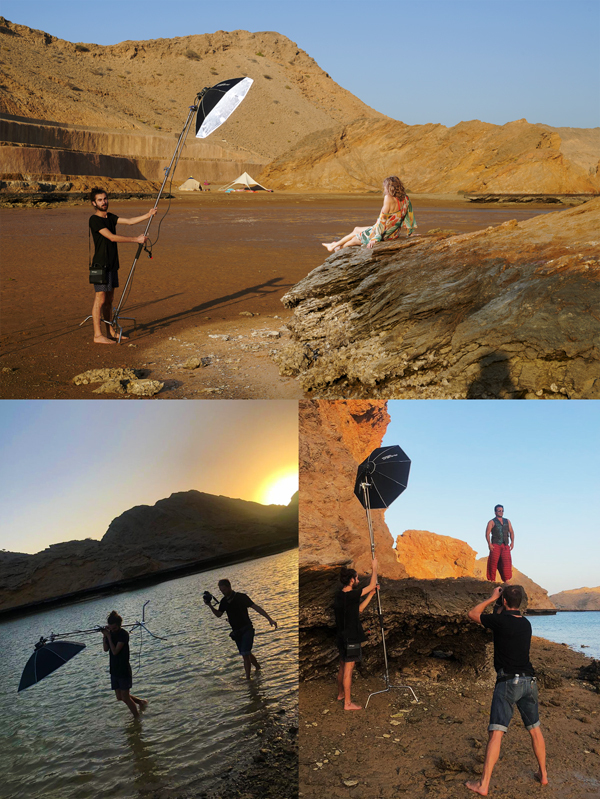 Early december we got flown over to a secret location hidden away on the coast of Oman. Our commission was to create timeless iconic photographs on location ambient based photography sets during this special private weekend ceremony themed the enchanted Bohdi Tree Land. The production team build a breathtaking magical place with everything that one can imagine. We invite the guests to be captured within the Bohdi tree scenery that was nestled between the beautiful coloured redish desert landscape and deep blue Arabian Sea. A very challenging task pre-scout for the best spots during the heat of the day for the perfect light and building a on the go photo-studios sets involving multiply heads and battery powered flash units. A true spiritual and unforgettable magical event we had the honour being part of and capture a slice of history. check the link for the final portrait.